As we saw earlier, it might be challenging for companies to move their data out of RDS for MySQL. In the first part of this blog, we showed you how to set up your target environment on EC2 and insert a proxy layer (ProxySQL) between your applications and RDS. In this second part, we will show you how to do the actual migration of data to your own server, and then redirect your applications to the new database instance without downtime. Once we have our database traffic running through ProxySQL, we can start preparations to copy our data out of RDS. 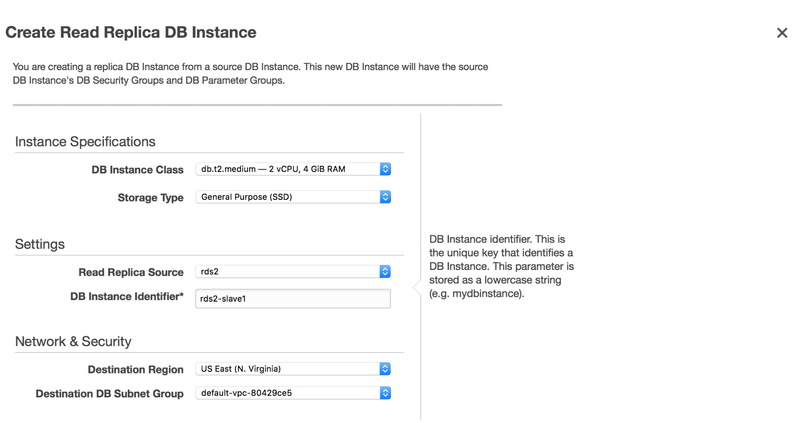 We need to do this in order to set up replication between RDS and our MySQL instance running on EC2. Once this is done, we will configure ProxySQL to redirect traffic from RDS to our MySQL/EC2. As we discussed in the first blog post in this series, the only way you can get data out of the RDS is via logical dump. Without access to the instance, we cannot use any hot, physical backup tools like xtrabackup. We cannot use snapshots either as there is no way to build anything else other than a new RDS instance from the snapshot. We are limited to logical dump tools, therefore the logical option would be to use mydumper/myloader to process the data. Luckily, mydumper can create consistent backups so we can rely on it to provide binlog coordinates for our new slave to connect to. The main issue while building RDS replicas is binlog rotation policy - logical dump and load may take even days on larger (hundreds of gigabytes) datasets and you need to keep binlogs on the RDS instance for the duration of this whole process. Sure, you can increase binlog rotation retention on RDS (call mysql.rds_set_configuration('binlog retention hours', 24); - you can keep them up to 7 days) but it’s much safer to do it differently. Before we proceed with taking a dump, we will add a replica to our RDS instance. Once we click on the “Create Read Replica” button, a snapshot will be started on the “master” RDS replica. It will be used to provision the new slave. The process may take hours, it all depends on the volume size, when was the last time a snapshot was taken and performance of the volume (io1/gp2? Magnetic? How many pIOPS a volume has?). When slave is ready (its status has changed to “available”), we can log into it using its RDS endpoint. Once logged in, we will stop replication on our slave - this will ensure the RDS master won’t purge binary logs and they will be still available for our EC2 slave once we complete our dump/reload process. Now, it’s finally time to copy data to EC2. First, we need to install mydumper. You can get it from github: https://github.com/maxbube/mydumper. The installation process is fairly simple and nicely described in the readme file, so we won’t cover it here. Most likely you will have to install a couple of packages (listed in the readme) and the harder part is to identify which package contains mysql_config - it depends on the MySQL flavor (and sometimes also MySQL version). Please note --lock-all-tables which ensures that the snapshot of the data will be consistent and it will be possible to use it to create a slave. Now, we have to wait until mydumper complete its task. It is up to you to pick what users are required to be copied onto your MySQL/EC2 instance. It doesn’t make sense to do it for all of them. For example, root users don’t have ‘SUPER’ privilege on RDS so it’s better to recreate them from scratch. What you need to copy are grants for your application user. We also need to copy users used by ProxySQL (proxysql-monitor in our case). Please note that we used four threads (-t 4) - make sure you set this to whatever makes sense in your environment. It’s all about saturating the target MySQL instance - either CPU or I/O, depending on the bottleneck. We want to squeeze as much out of it as possible to ensure we used all available resources for loading the data. When all this is ready, we can setup replication between RDS (master) and our MySQL/EC2 instance (slave). Mydumper, when performing a consistent dump, writes down a binary log position. We can find this data in a file called metadata in the dump directory. Let’s take a look at it, we will then use the position to setup replication. Last step will be to switch our traffic from the RDS instance to MySQL/EC2, but we need to let it catch up first. When the slave has caught up, we need to perform a cutover. To automate it, we decided to prepare a short bash script which will connect to ProxySQL and do what needs to be done. # 10 seconds) for a master to become available again. echo "UPDATE mysql_servers SET STATUS='OFFLINE_SOFT' WHERE hostname=\"$OldMaster\";"
echo "LOAD MYSQL SERVERS TO RUNTIME;"
# hostgroup 20 has open transactions, we can perform a switchover. # instance. We also configure back mysql_replication_hostgroups table. echo "UPDATE mysql_servers SET STATUS='ONLINE', hostgroup_id=110 WHERE hostname=\"$OldMaster\" AND hostgroup_id=10;"
echo "UPDATE mysql_servers SET STATUS='ONLINE', hostgroup_id=120 WHERE hostname=\"$OldMaster\" AND hostgroup_id=20;"
echo "UPDATE mysql_servers SET hostgroup_id=10 WHERE hostname=\"$NewMaster\" AND hostgroup_id=110;"
echo "UPDATE mysql_servers SET hostgroup_id=20 WHERE hostname=\"$NewMaster\" AND hostgroup_id=120;"
echo "INSERT INTO mysql_replication_hostgroups VALUES (10, 20, 'hostgroups');"
On the application side, you should not see much of an impact, thanks to the ability of ProxySQL to queue queries for some time. With this we completed the process of moving your database from RDS to EC2. Last step to do is to remove our RDS slave - it did its job and it can be deleted. In our next blog post, we will build upon that. We will walk through a scenario in which we will move our database out of AWS/EC2 into a separate hosting provider.